Perhaps one of the best locations at Nihilani at Princeville. 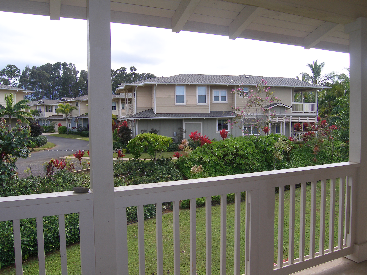 Beautiful mountain views with a small peek at the ocean from the front door. Nihilani 34C offers a quiet location away from the road. 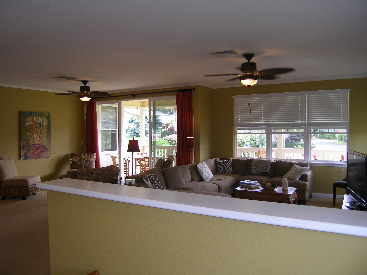 It is located on the second level so you can enjoy the cooling trade winds and no one living above. 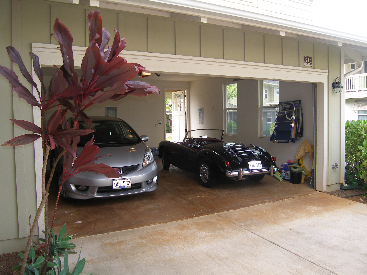 This exquisite condo offers you nearly 2000 square feet of indoor living plus an additional 307 square feet of covered lanai plus a two car garage. 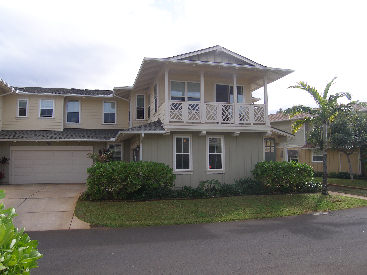 The three bedroom/three bathroom is in excellent condition. Custom wall paint. 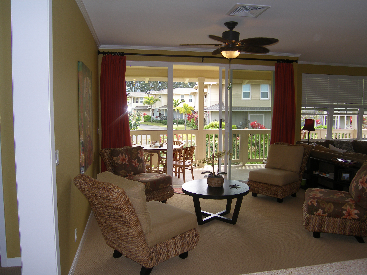 Offered fully furnished with custom designer furnishings. Even a Tempur-Pedic mattress in the master bedroom. 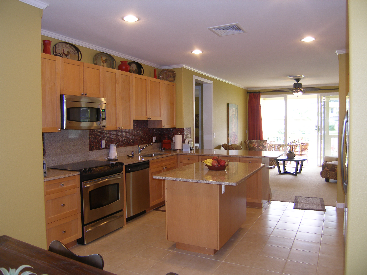 Stainless Steel appliances, slab granite counter tops and custom backsplash are in the kitchen. Crown molding throughout. Upgraded ceiling fans. Side-by side washer/dryer.